Even though Shenzhen and Hong Kong are basically the same city on opposite sides of a border, it’s still a frustratingly long trip to Hong Kong Central for a Reuben at Morty’s Deli. 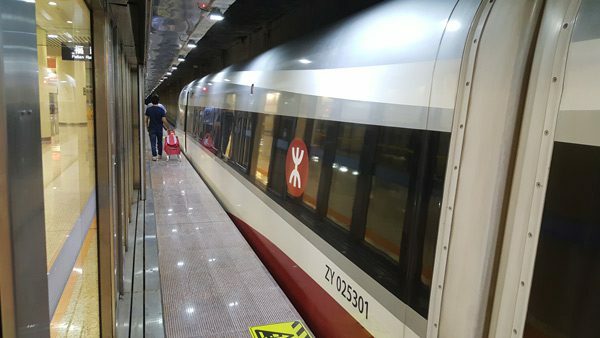 The new high speed rail line linking downtown Shenzhen to downtown Hong Kong makes the trip in just 15 minutes. 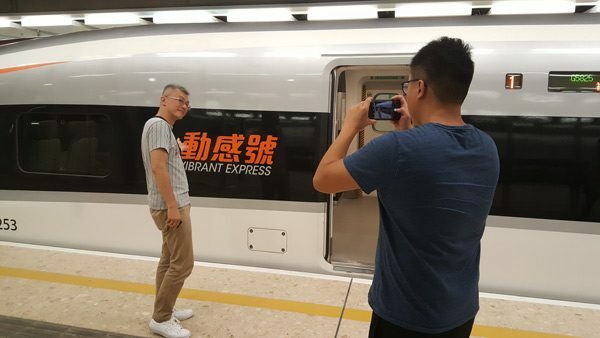 A lot of frequent travelers are hoping it just got a lot easier to eat delicious pastrami on a whim, but with all the formalities of Chinese rail will it really cut the travel time? We jumped on to find out! 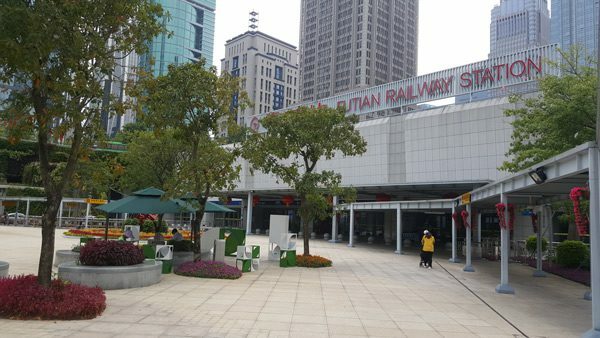 Futian Railway Station is two metro stops from the Huaqiangbei electronics market, in the Futian Central Business District. It’s always empty, despite being several years old and absolutely massive. Unlike most Chinese rail stations, it’s actually in the middle of the city. It usually takes less than 10 minutes to collect tickets and go through the security checks. Shenzhen North station is on the same high speed rail line, but it’s so busy that it often takes more than an hour to get into the station. Foreigners can’t use the ticket vending machines, so we had to go to the window and hand over our passports to buy tickets from a human. 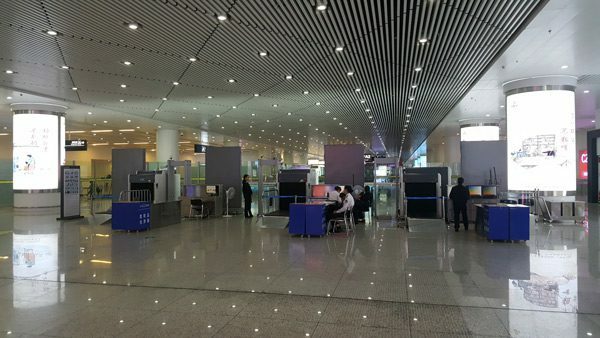 Security checks make Chinese high speed rail more like flying out of an airport. Identity check, baggage x-ray, metal detector, and finally a manual pat-down. 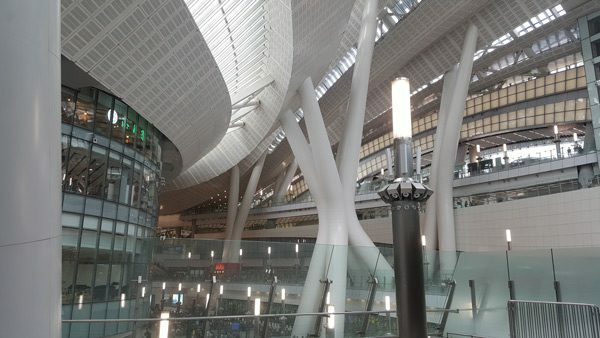 This is where Futian station really shines – it’s so empty that security takes less than a minute. 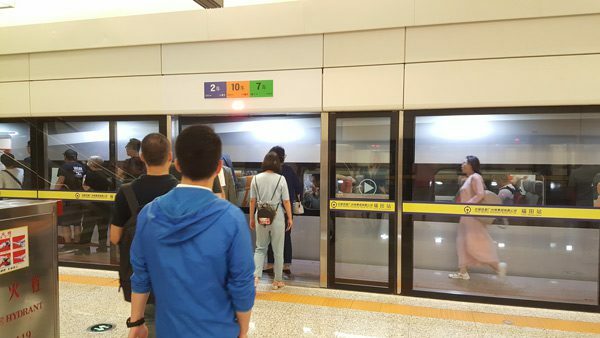 Security in Shenzhen North can take 30 minutes or more. Everyone riding the train was super excited. It was the same atmosphere as when the A380 was a new and exciting airplane to ride. Lots of pictures and selfies. This train has the Hong Kong MTR logo on the side, and seems to serve only Futian and Kong Kong stations. There were no other passengers on the train from stations further north when we boarded. Second class tickets are around $9, first class is around $15. About the same price as taking the metro. This is the first class cabin. 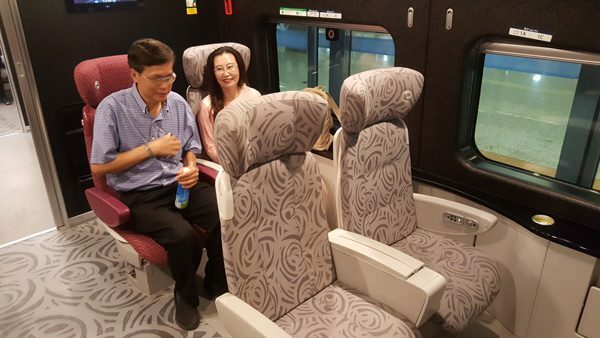 Some trains also have a tourist class or business class with lay-flat seats, but at $50 it seems a bit too posh for a 15 minute train ride. 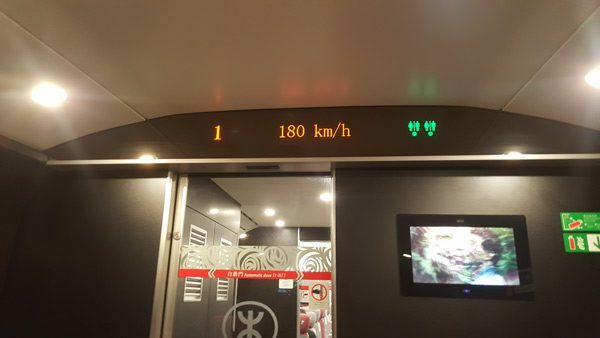 Maximum speed was around 180 km/h. The entire trip is in an underground tunnel so there’s not much to see. The WIFI didn’t seem to work, but there was 4G mobile data during the whole ride. 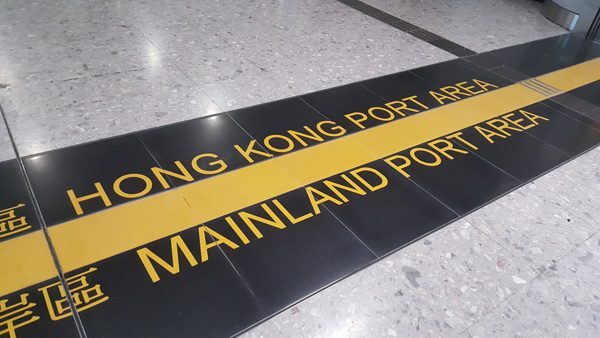 In Hong Kong there’s a joint border crossing for both Hong Kong and China. After getting off the train you go through immigration to leave China, walk a bit, then show your passport to get into Hong Kong. Chinese immigration does a customs check on the way out, every bag of any size has to go through an x-ray machine. Kowloon West Station is magnificent, but also a bit of a chaotic mess. It’s also not really anywhere useful, it’s a ten minute walk through malls to find a metro to Hong Kong Central. Returning to Shenzhen is much less convenient. The line to purchase tickets is super long, like the line for the Hong Kong Airport McDonald’s. The line to pickup tickets purchased via apps is more reasonable, like the line for the Hong Kong Airport Popeye’s. As in China, foreigners can’t buy tickets at the vending machines. After seeing this mess we decided it would be faster and more pleasant to catch the metro back instead. From our door to Morty’s Deli in Central usually takes about 1 hour and 45 minutes using a cross border bus or the metro. It took about 1 hour and 15 minutes using high speed rail. A half hour faster isn’t bad, but it also takes a lot of planning. 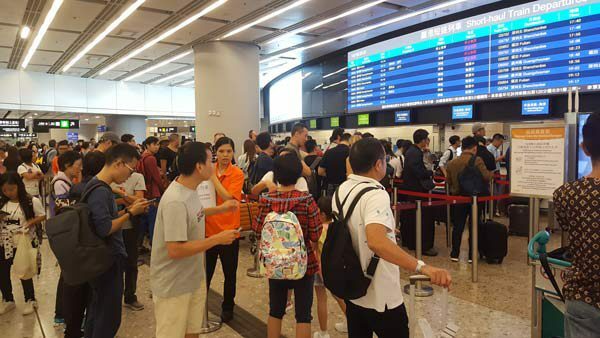 Tickets need to be purchased in advance, timing at the station needs to be just right, and West Kowloon isn’t exactly a useful location in Hong Kong. Coming back to Shenzhen from Hong Kong seems like it could take even longer than a bus or metro. 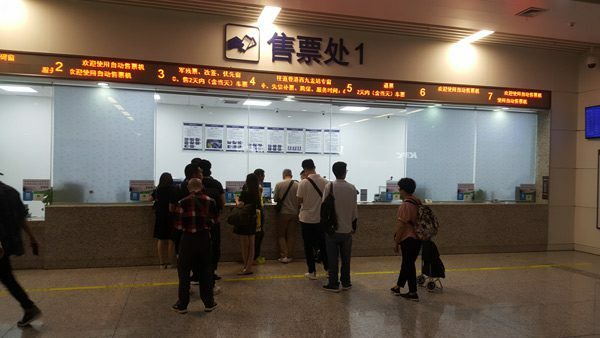 There’s huge crowds picking up tickets for destinations all over mainland China, so ticket collection takes forever. That means arriving early to get the tickets, then extra waiting around for a scheduled train. It’s so much easier to step onto the next metro back to Shenzhen and enjoy the ride. Even if high speed rail is consistently faster, the experience of doing it requires all the focus and planning of catching a flight at an airport. We’ll take it from Shenzhen Futian to Hong Kong in the future, but with so much planning involved it’s always going to be easier to take the metro back. USB Micro B is the connector of the moment, but we haven’t had a very good time working with it. 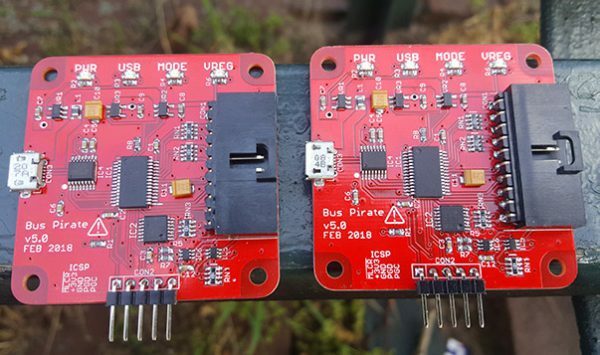 The bog-standard Chinese generic Micro B connectors on Bus Pirate v5 and Bus Pirate NG1 break constantly. 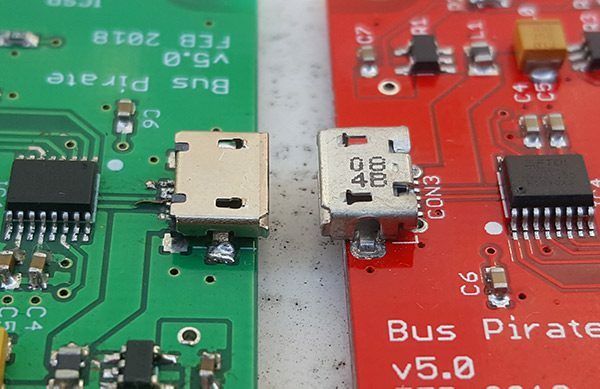 We tested a Micro B connector with through-hole support tabs on the latest Bus Pirate PCBs. It turned out really well. A ton of mom and pop factories around Shenzhen churn these out by the bucket load. It seems like a great part: ubiquitous and cheap, doesn’t require a special board slot, versions with extended leads and centering pegs are easier to hand solder. 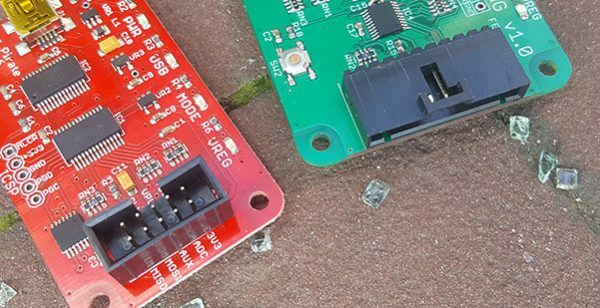 Unfortunately, every connector soldered by every member of our team has eventually decided to exit the PCB. 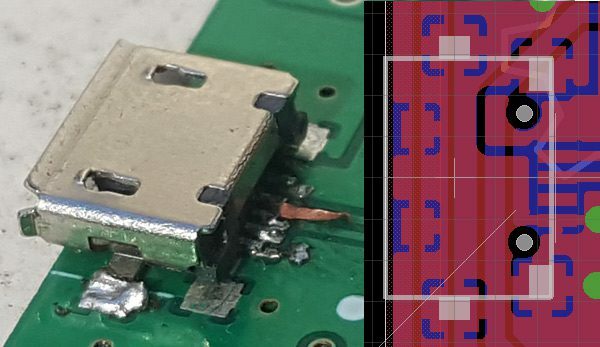 This connector is optimized for paste stencil and reflow soldering. 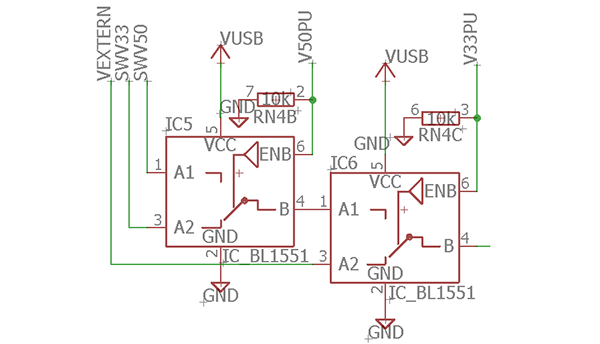 Most support should come from two solder pads under the connector that are impossible to reach with a soldering iron. 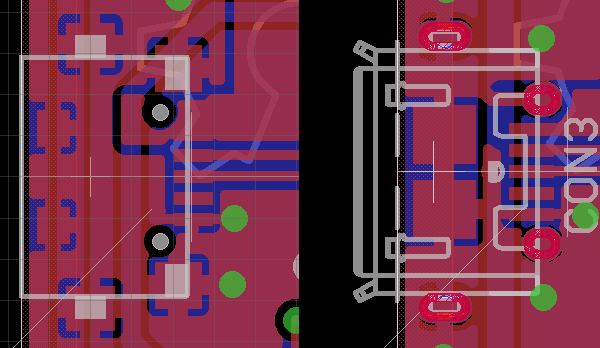 Maybe it could be done with hot air, or the QFN “solder from the bottom of the board through a via” hack. The generic Chinese connector (left) has six solder pads holding it to the PCB. Four can’t be reached with a soldering iron – the two under the front, and the two recessed pads at the back near the pins. A Molex 47589-001 (right) with through-hole support tabs went into the next revision of the Bus Pirate boards. The tabs aren’t long enough to go completely through a 1.6mm PCB, but they can still be soldered in place from the top of the board. It’s much more expensive – essentially free vs $0.50 each – but we’re optimizing for hand assembly, not production. Now we’re living the dream. The four tabs are really secure, and we don’t have to treat the prototype like glass. The next step is to find the most widely available Chinese equivalent. 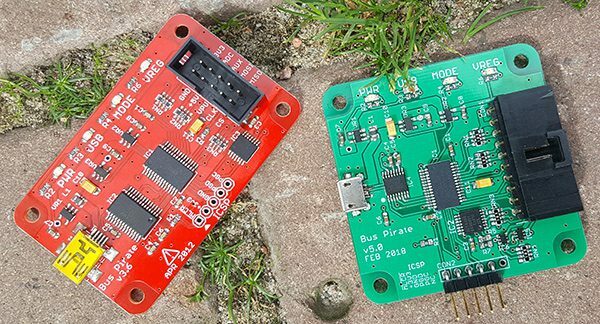 These Bus Pirate v5 prototypes were hand-assembled by a random PCBA shop on Taobao. 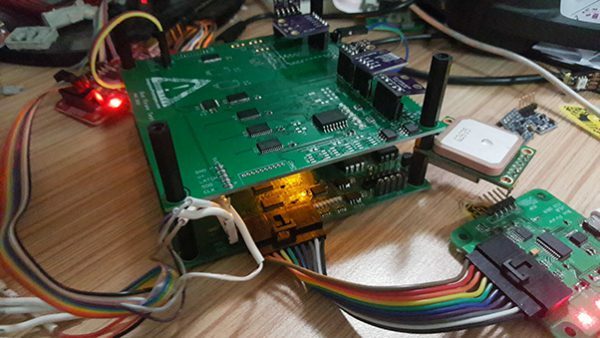 Assembly took two days and cost 80RMB (~$12) for each board, we provided the PCBs and components. Normally we relish a prototype build because it’s a source of so many design improvements, but this was an emergency. 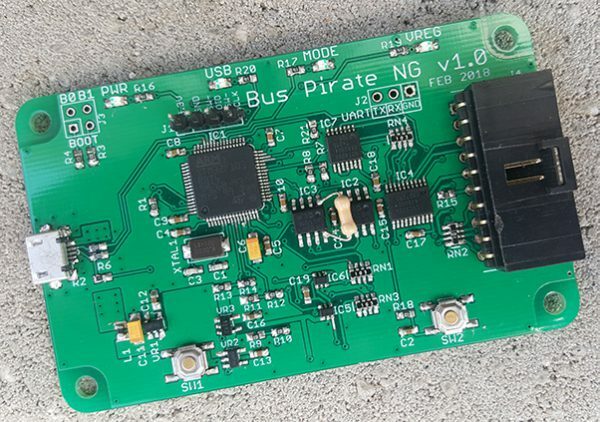 The USB Micro B connector on the Bus Pirate v5 and the Bus Pirate NG1 keeps breaking. In fact, the connector on v5 broke while we took pictures for a post. We soldered it on well enough to finish the photos, but we need to replace the trashed board ASAP to continue working on BusPirate.com. We contacted a random PCBA shop on Taobao using QQ messenger. The assembler reviewed the gerber files and quoted 80RMB (~$12) to assemble each piece. That’s just the assembly cost. PCBs and all the components came from our own suppliers. PCBs came from the Dirty PCB factory, parts came from JLC and a few Toabao suppliers. Sourcing the components for the “kit” took quite a bit of time, maybe the same as soldering a Bus Pirate. After two days we had the PCBs and parts in our Shenzhen office, then it all went to the assembler by same-day courier. The assembler relied on the BOM and the PCB silkscreen to stuff the board. They didn’t need an image of the schematic nor do they accept Eagle files. All interaction happened over QQ, which is pretty typical for everything in China. They had a single question about the orientation of a component. 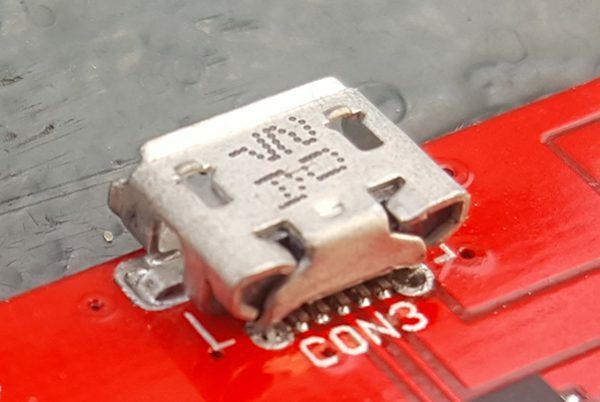 The dots marking pin 1 of the BL1551s was on the wrong layer and didn’t get printed on the PCB. We’ll make sure all the orientation markings are clear for a speedier build next time. The assembler found a problem with the parts we sent too. 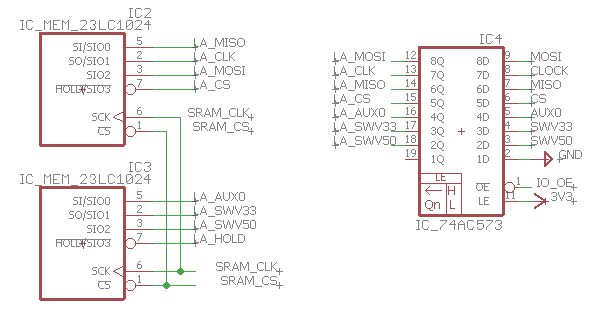 The 74HCT4066 is in the wrong package, it should be TSSOP instead of SOIC. We ordered a replacement part from JLC and chose SF shipping for 12RMB (~$1.90). The replacement arrived at the factory the next day. Finished boards arrived in our office two days after the assembler received all the parts, about 5 days after we ordered parts. 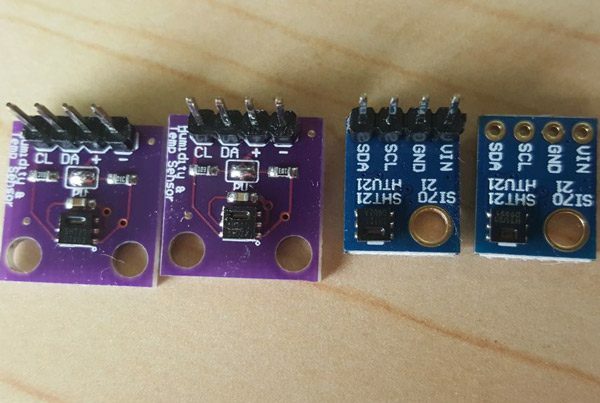 Soldering is very good, but you wouldn’t mistake it for a board done in a reflow oven. All the components are stuffed in the right place and in the correct orientation. There’s a tiny bit of flux around the LEDs, but otherwise the board is super clean. 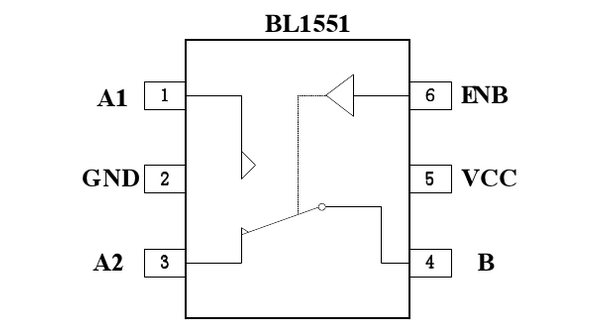 Bus Pirates have a row of unpopulated indicator LED footprints on the back of the board named LED1A-LED4A. These are the same as the LEDs on the front (LED1-LED4), and just open up more case options at no additional cost. The BOM we sent to the assembler specified LEDs for LED1-LED4, and made no mention of LED1A-LED4A. The assembler soldered LEDs to both sides of the board. Our instructions were too ambiguous. The LED silk labels are PWR, USB, MODE, and VREG, not LED1-LED4. There was no way for the assembler to tell which LEDs were supposed to be populated, so they stuffed them all. In the future we’ll make sure the BOM names match the PCB silk, and explicitly state which parts are “do not populate”. 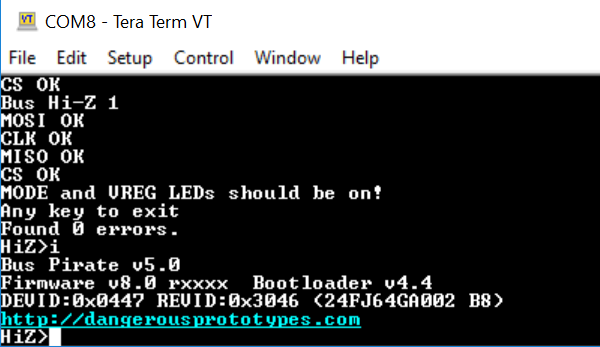 Powered up, programmed a bootloader, flashed the latest v5 firmware freshie build. Every board works and passes the self-test. It’s super nifty to send away parts and get back assembled boards a few days later. 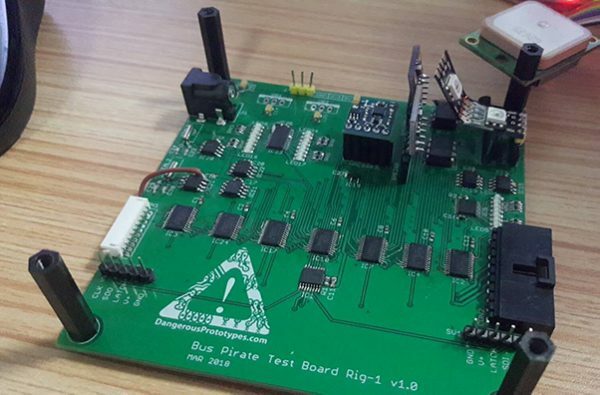 If the orientation of every part is really obvious on the PCB silkscreen then the assembler can probably handle the build without any questions. The boards all work perfectly, and outsourcing the build really did keep the project moving at a critical moment. Sourcing the parts and kitting the components took a lot of time. 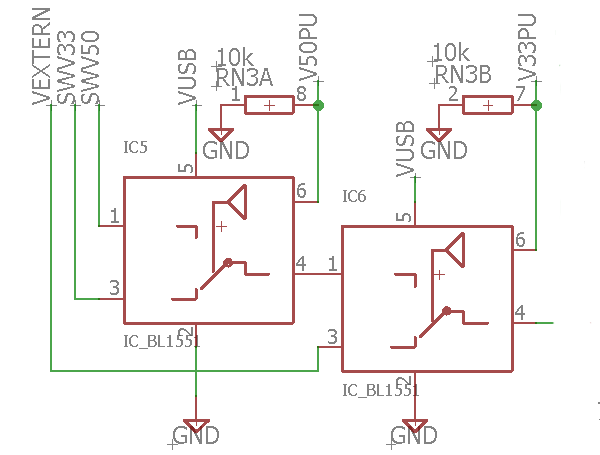 It would be a lot easier if the assembler provided common resistors and capacitor values so we don’t have to find them. There’s also a lot of caveats: this was all handled in Chinese, requires Chinese payment methods, and our Shenzhen office was able to coordinated everything. 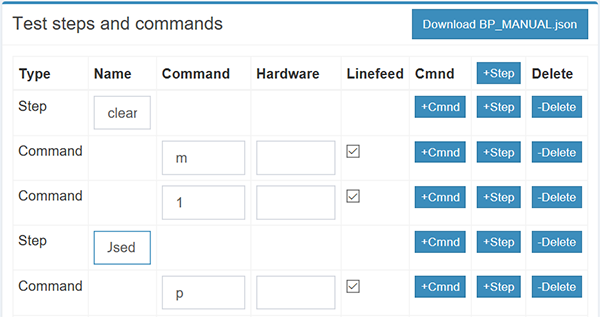 The Bus Pirate project currently has four firmware builds (v3/v4/v5/vNG1) under two toolchains (PIC C/ARM C). To make this more manageable, we use a cheap VPS to check for new code in our git repo and compile the firmware automatically. Fresh compiles are available for everyone immediately, without any intervention from developers or friendly forum members. Is there new code to compile? Creating builds for a bunch of platforms is boring, let’s automate it! First we find out if there’s new code to compile. 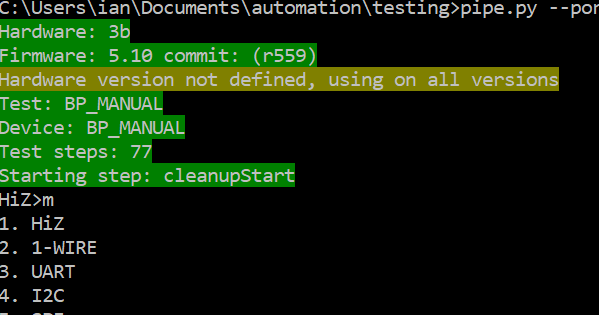 With git we can check the log before and after a ‘pull’ command. Check the git log for the long hash of the current local repository. Pull the latest commits and update the local repository. Check the long hash again. The hash changed! Let’s compile some code! Compile the latest code and then do something useful with the output. A build server can definitely run in your basement or at the hackerspace, but a $5/month VPS from Vultr or DigitalOcean is a super slick option. We run Ubuntu 14.04 LTS 64bit because some of libraries we need aren’t available for newest versions of Ubuntu. 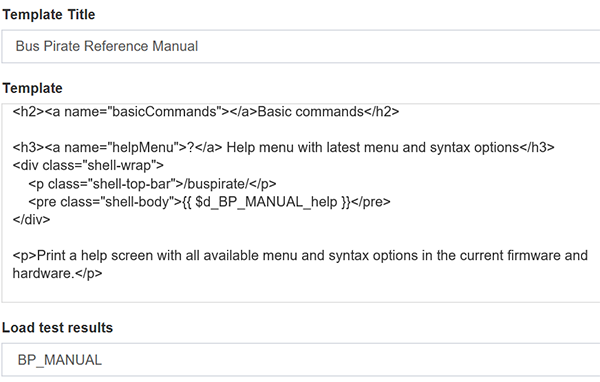 Install instructions for both toolchains are in shell script .sh format. You shouldn’t run these! Defaults and version numbers change. Some user interaction is needed. Open a shell terminal and paste the lines one at a time. Notes in the .sh file explain each step. PIC firmware can be compiled on a headless Linux server since Microchip released MPLABX and the XC compilers. Installation is a bit tedious, but the toolchain works great. bp-install-mplabx.sh documents our setup. Credit to this solution. The Bus Pirate MPLABX project needs a little preparation before compiling on the server. 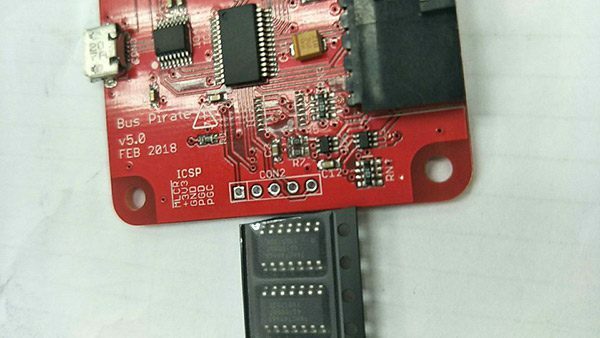 There’s three active hardware versions to compile for the PIC-based Bus Pirate. Each hardware version needs a separate MPLABX project, the project configuration passes the hardware version #define via a compiler flag. ARM GCC is easier to setup than the PIC toolchain. Install the compiler, pull the source, then compile libopencm3 and the Bus Pirate NG firmware. bp-install-armgcc.sh documents our install. buildv2.py runs ‘git pull’ every 10 minutes. If there’s new commits, the source is compiled and the firmware is uploaded to a server for further processing. Follow the steps in bp-install-autobuild.sh to install and configure the build service. buildv2_tasks.py has settings for the repositories and builds. Each repository can have multiple build tasks. The PIC-based Bus Pirate repo is pulled once, then compiled for three hardware configurations (v3/4/5). If the service is installed in /etc/init.d it will start with the operating system. The script has been stable for months at a time, but we play it safe and use monit to restart the service if it crashes. The firmware and build logs are packaged into a JSON file and uploaded to an API at BusPirate.com. Here’s an example of the JSON output, the important variables are described in the table below. ‘error’ 0 if make executed, 1 if make returned system error (build failed with errors). BusPirate.com serves up the fresh build and notifies anyone subscribed to the mailing list. We also grab all the commit notes and change history from GitHub so it’s easy to see what’s in the build. You can check it out here. 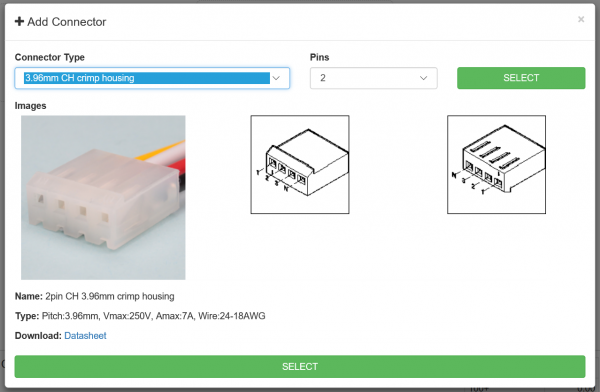 For the rest of this week we’ll be testing a new version of Dirty Cables at DirtyCables.com. 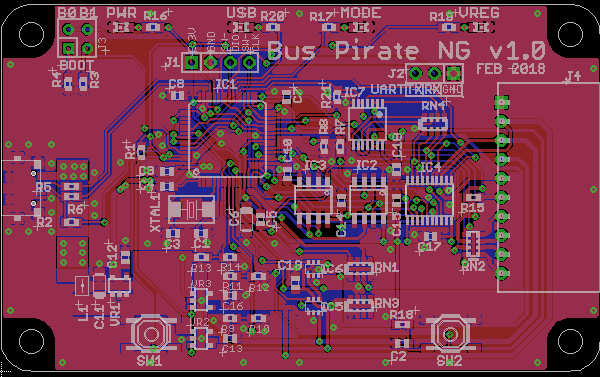 Later next week we’ll receive a few hand-assembled Bus Pirate v5 prototypes. 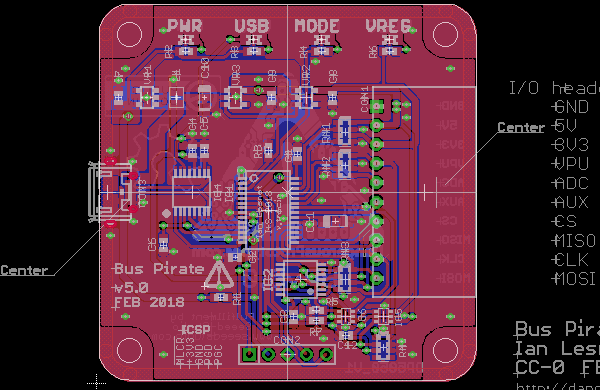 We ruined another Bus Pirate v5 prototype by tearing the USB Micro B connector and traces off the PCB. 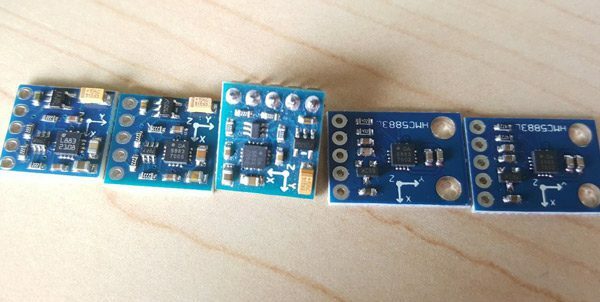 Instead of building another board in-house, we sent the parts to a Chinese PCBA that does two-off hand-assembled prototypes. Let’s see how they turn out! 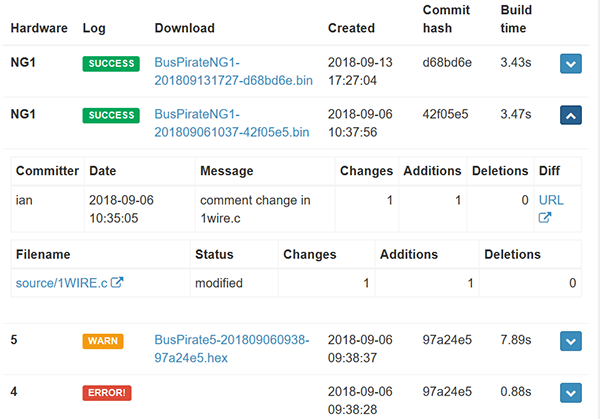 Bus Pirate documentation and demos are all buried in a huge wiki and around the blog, this is less than ideal for such an expansive project. We’ve been working on a new site just for Bus Pirate stuff. This site is full of hacks that automate boring development stuff. There’s a broad overview of the site features below, we’ll follow up with detailed posts later this week. It’s a simple thing, but it makes a big difference. Obvious menu options dedicated to the Bus Pirate are a nicer experience than digging through a wiki with stuff about dozens of (partially) completed prototypes. Bus Pirate documentation is full of version caveats like “Hardware v4+ only” and “Firmware v5.1+”. 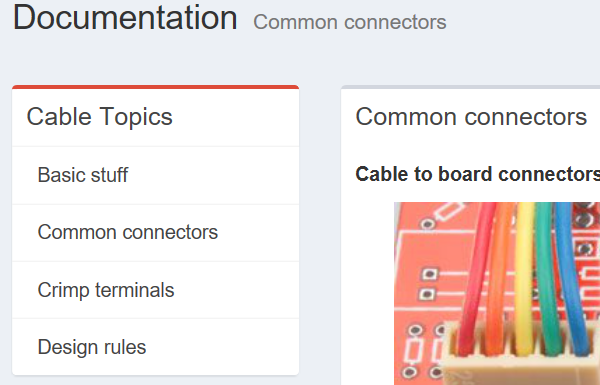 BusPirate.com docs are versioned, they only show info that applies to a specific hardware and firmware combination. Docs can be downloaded as a PDF. We tried to use PDF specific stylesheets so the docs look as good printed as they do in a browser. wkhtmltopdf handles the conversion to PDF, it’s by far the best conversion tool we’ve worked with. An automated build server compiles new firmware every time there’s a commit to the git repo. This is a huge improvement for everyone. Users get the latest bug fixes without compiling from source, and developers don’t have to make interim releases for a bunch of platforms. Currently the build server compiles firmware for four hardware versions (v3/4/5/NG1) under two different compilers (MPLABX/XC16, ARM GCC). We’ll document the build server on Thursday. Firmware releases are packaged and announced automatically. The release is a tidy archive with the latest firmware, update tools, readme.txt and updated history.txt. Subscribe to be notified of new developments. Firmware builds and releases mailing lists can be limited to a specific hardware version to cut down on noise. Later today we’ll post about the system to automate updates of the Bus Pirate tutorials and documentation. Thursday we’ll show how we setup an update automated build server to compile PIC and ARM firmware on a $5/month virtual private server.